What is the meaning of olive branch? The olive tree is an evergreen tree that gives shade when farmers till the land. It lives longer than the other trees in the area. Many people believe that olive oil starts with olives. We believe it starts with terrior – the influence of our climate, farming techniques, sunlight intensity, elevation and soil. Straight from our farms in Palestine to you! Our farms are located on the hills in Palestine from generation to generation. The altitude, the plenty of sunshine and the particular orientation of the olive groves in conjunction with the rainfalls and mild temperatures across the year, form a special microclimate that is difficult to recreate anywhere else in the world. 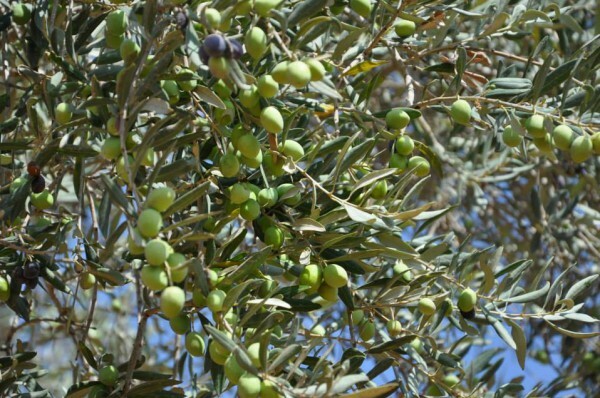 Our olives are from the Palestinian native tree, the nabali (baladi) Tree. 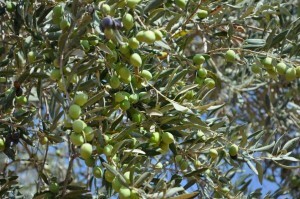 This variety thrives in Palestine since ancient times and gives the highest quality extra virgin olive oil in the world. Our olive orchards are grown on hand-built terraces on the hillsides. Our farmers work year round to build and maintain these ancient terraces that hug the mountains and hillsides throughout the landscape and prevent land erosion. The Palestinian landscape offers one of the most diverse landscapes in a small area. Such diversity is reflected in the varieties of olive oil produced. Our farms are normally exposed to more sunlight and winds which affects the quality, taste, and yield of the harvest. It all comes back to home. Palestine is the home of the olive. Our olive trees, many of which are thousands of years old, hold a deep significance in the culture and economy of the Holy Land. Our olive trees were planted by my ancestors: my great grandparents, my grandparents and so on. Nobody can determine the exact age of our farms and how many generations were before us but from our trees, we can guarantee that it is for thousands of years. Our trees, living for more than thousands of years in their own soil, have been rooted by our grand grandfathers for many generations ago. They stand steady and motionless breathing the same air, receiving the very same nourishment, producing the very same produce. That is what guarantees us the quality of our extra virgin olive oil and offers a vote of confidence to our ambitions. The trees are planted 3 metres apart in rows 3 metres apart. This allows sunlight and wind to enter the trees freely. Our olive trees are not artificially watered, they are from hilly areas where the altitude is quite high. The olives trees where not artificially watered, have less production of olives and olive oil, but extremely finest quality extra virgin olive oil. We prune the olive trees when it is necessary to ensure each olive gets enough air and sunlight. We use traditional methods in caring for the olive tree. Our olive oil is organic, naturally extra virgin. Development never stops, we respecting the traditions and culture of our grandparents, we care a lot of our olive trees to keep them survive, so that our sons will have the opportunity as our fathers gave us generously. Our farm welcomes you. Visit our olive tree orchard to experience the harmonious match between past and present.